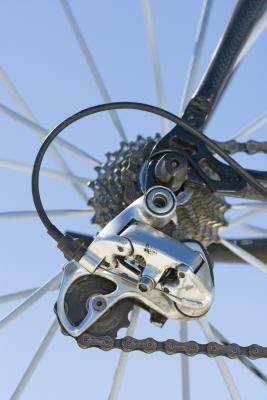 According to Everydayhealth.com, a cyclist burns about 5.5 calories per hour per pound of body weight riding between 16 and 20 mph. 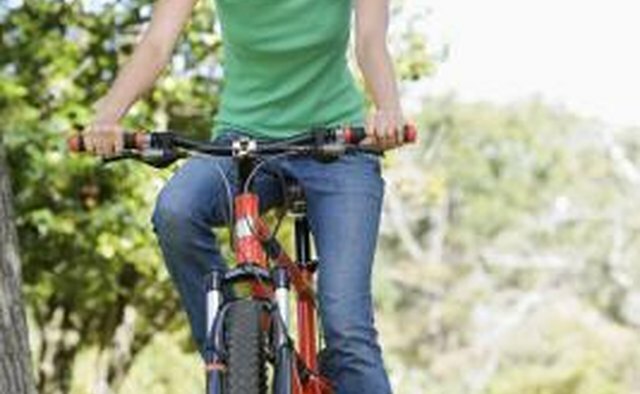 Riding between 12 and 14 mph burns about 3.6 calories per mile per pound. 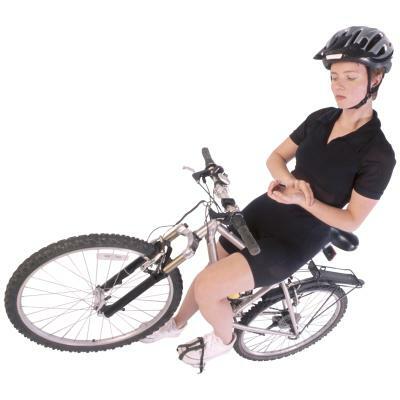 In other words, a 130-pound woman burns about 715 calories riding 17 miles in one hour. If she slows down to 13 mph, she burns only 468 calories per hour. 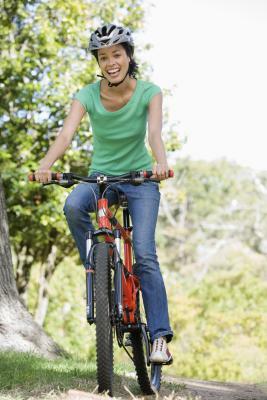 If she goes mountain biking, which burns about 3.9 calories per pound per hour, she burns about 507 calories even though she may only cover eight miles. Counting calories burned on the bike, though, isn't as simple as Internet calorie calculators lead you to believe. Several factors play into the calculation: How heavy is your bike? What about your backpack? Are your bottles full? Your muscles have to push the whole package: bike, rider, equipment and all. If your bike is loaded down like a pack mule, you'll burn more calories than you will if you're pushing a featherlight carbon bike. Tires make a difference, too. The rolling resistance of knobby tires is much more than slick road tires, making you work harder to cover distance. 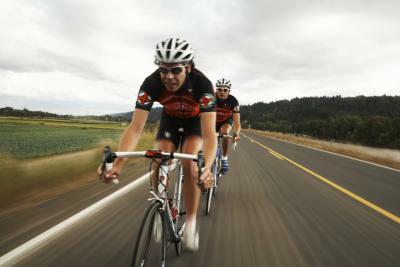 Calorie burning depends on your environment more in cycling than in most other endurance sports. 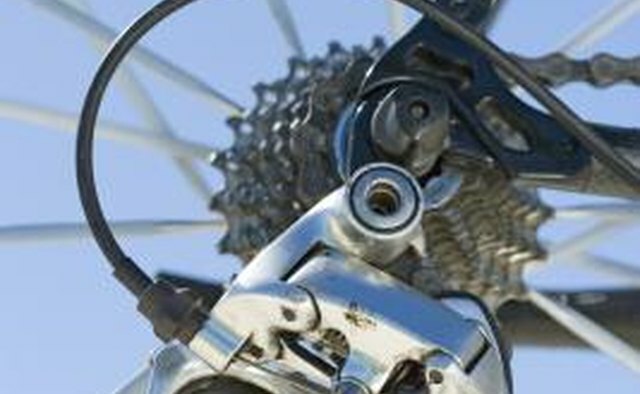 You burn more calories riding uphill at 8 mph than coasting downhill at 30 mph. Mountain biking through sand is harder than on packed dirt. A headwind slows you down significantly, so even though you might be working at 20 mph effort, you may only be traveling at 16 mph. Also, the faster you ride, the more air resistance you must overcome. Air resistance increases exponentially with speed, so to go 1 mph faster, you must work 10 times harder (burning calories at 10 times the rate). The best estimator of how many calories you're burning is how hard you're working. A reliable way to quantify effort is to measure your heart rate. Many heart rate monitors use your age, weight and heart rate to calculate fairly accurately the number of calories you burn in a workout. Another factor that makes cycling a better calorie-burning activity than running or swimming is that you can do it for longer. Since cycling doesn't have the high impact of running and has built-in rests, reasonably fit cyclists can ride for a long time, burning more total calories. For example, our 130-pound woman would burn about 2,600 calories running a four-hour marathon. Conversely, if she biked a six-hour century (100 miles), she would burn 4,250 calories--an extra 1,650 calories--for a similar effort. 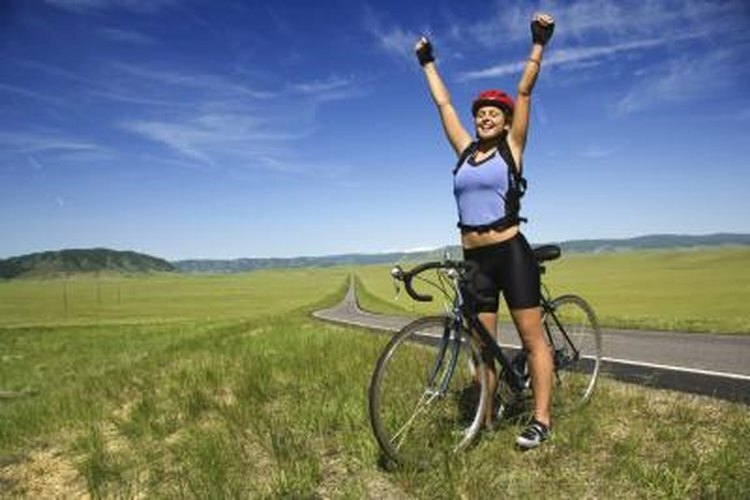 The best thing you can do to burn more calories over time is to ride often. You burn calories faster if you ride hard. You can't ride hard every day, but schedule a few rides a week where you pick up the pace by pushing a harder gear, spinning at a higher cadence or riding uphill until you're sucking wind. These kinds of workouts also take more energy (calories) for recovery. How Long Does It Take to Rollerblade One Mile?